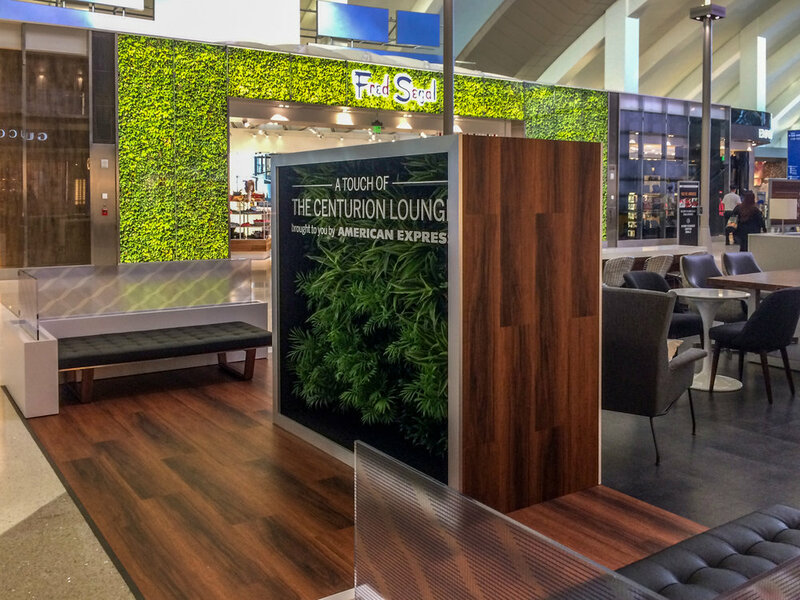 Recently, Momentum Worldwide engaged ImagiCorps to bring the Centurion Lounge concept to LAX airport. With beautiful finishes and our signature craftsmanship, the 1,300 square foot pop-up showcases the premium Centurion experience and elevates travel for thousands of visitors. The airport retreat features a living plant wall as its architectural centerpiece. ImagiCorps designed custom water trays to alleviate the need for constant maintenance or an elaborate and expensive drip irrigation system. The brushed aluminum letters, each individually pinned, appear to float above the foliage and showcase the premium nature of the brand. Click here to see more of our featured work.